Turn the pages and lift the flaps of this delightful baby book to meet Diving Dolphin, Stripy Fish, and other exciting sea creatures waiting to pop out! This exciting read-aloud baby book encourages first learning by introducing little ones to colourful underwater scenes and characters. 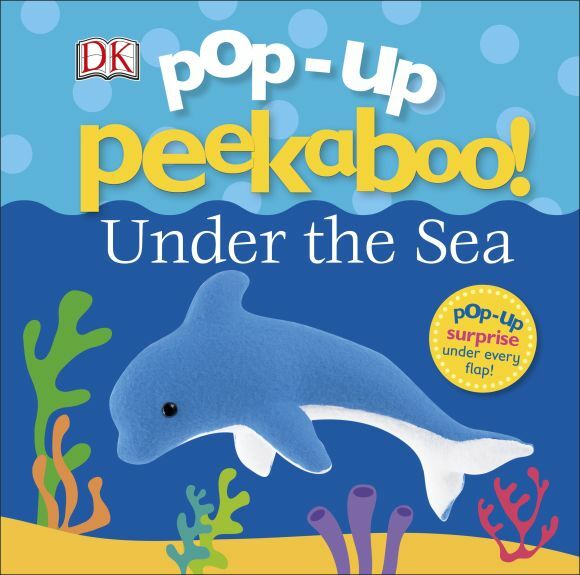 With the help of parents and carers, toddlers will have fun turning the pages and lifting the flaps of Pop-Up Peekaboo Under the Sea. Each surprise character is certain to make toddlers smile! Ideal for preschool play, this sturdy baby book will appeal to both parents and children and will keep little ones entertained time and time again!